I found this flier on Green Street as I was headed to T.B.D. to see how the Robot Monkey preparations are going (they’re going well, if you’re lest you are wondering). 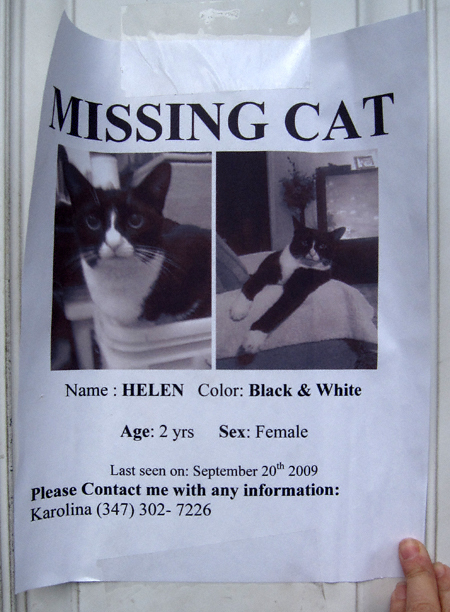 If anyone has seen Miss Helen please contact her people at the above telephone number. She is sorely missed. Thanks!